Ramadaan is a sacred month of fasting for Muslims and some might frown upon an invitation to have iftaar – the meal to end a day of fasting – in a Catholic church. Yet that is exactly what Turquoise Harmony Institute, a Turkish interfaith non-governmental organisation, did in Johannesburg a few years ago when it wanted to encourage conversations between people from different religions. At this multi-faith iftaar, a Catholic priest talked about the historical role of fasting in Christianity. Around tables, conversations over a shared meal revealed similarities between lifestyles and beliefs, despite differing religious backgrounds. 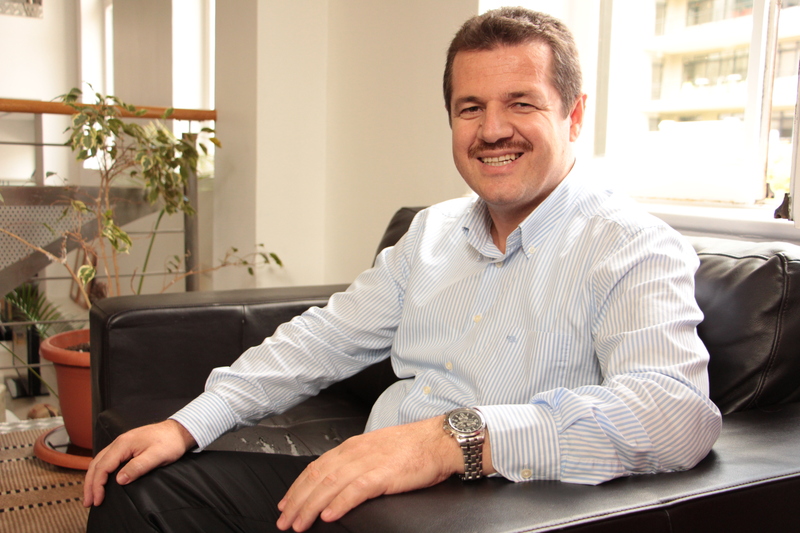 Turquoise started its work in South Africa a decade ago and has a branch in Durban and Cape Town. In the latter city, it held a similar interfaith dinner last earlier this month. Its Western Cape branch director, Muhittin Camlibel, said they want to encourage religious people to “understand each other”. “We believe in interfaith dialogue. All religions talk about peace, so we focus on that because there must be a lot of good people who follow religion,” he said. Turquoise is not the only Cape Town-based organisation working in the interfaith arena. A few others have over many years aimed to bring together people of different religions, in a city that is home to various faiths. These efforts include the Cape Town Interfaith Initiative (CTII), launched in 2000. It runs the Open Hearts Open Minds forum, a series of quarterly public dialogues that platforms different religious leaders talking on a topical subject affecting locals. CTII also organises Heritage Day bus tours on September 24, introducing locals to different religious spaces, such as mosques, synagogues and churches. On December 16, it will host a Reconciliation Day interfaith walking tour in central Cape Town and Bo-Kaap. The Western Cape Religious Leaders Forum (WCRLF) has meanwhile spoken out against gang violence on the Cape Flats. Last year it launched a campaign against corruption, which it said was the “biggest threat” to national development. The Hindu community this year celebrated iconic peace activist Mahatma Gandhi’s life in Cape Town with an interfaith service at St George’s Cathedral. Recently launched Jewish Voices for a Just Peace (JVJP), with offices in Cape Town and Johannesburg, unveiled a plaque in Cape Town in memory of Palestinians and Israelis killed this year. For Camlibel, interfaith work “started since human beings have been alive”. “We had prophets who came with different religions. There was contact between people who believed in different religions then already,” he said. Contemporary awareness about interfaith dialogue was growing, as “people are very connected now”. It was also needed to ensure that religious-based conflicts do not persist, said Camlibel. “With the Internet and cell phones, people are living in a small village. Usually, in a village you don’t find too much conflict. And if there is conflict, elders in the village come together and solve the problem,” said Camlibel. Turquoise also regularly hosts interfaith seminars to combat “people who want to create chaos” by using religion. He added: “What we are doing is not something short-term. It will continue until the end of life, because peace and tolerance must be in the world long-term. Gwynne Robins, a committee member of the CTII, said Cape Town has a “long interfaith history as the Muslim and Christian coloured community has been living alongside each other for centuries”. The city’s interfaith efforts also endured apartheid, she said, as during that time religious leaders were locked up side-by-side for protesting against the former government’s violent policies. Robins said CTII holds regular interfaith prayer gatherings and every February celebrates the United Nations endorsed Interfaith Harmony Week. Robins said their work has shown Capetonians “there are different religions in this city”. “During apartheid, people were being segregated. We were in little boxes that never met each other,” said Robins. “When there is a major event in our city we find different religious leaders to open up that event with prayers, so that people realise all faiths are given equal respect. Imam Rashied Omar, chairperson of the WCRLF, at the forum’s annual general meeting this month reflected their activities have focused mainly on social issues. Most of its work has transcended beyond religious spaces and tackled social issues. This includes hosting a meeting between the City of Cape Town and the Social Justice Coalition on janitorial services in 14 informal settlements in February this year. It seems from various interfaith groups that securing peace between communities is a pivotal role. To this end, these groups at times present an alternative voice during conflict, such as the JVJP’s efforts. Leonard Shapiro, one of the JVJP’s leaders, said they launched their initiative “at the height of the most recent Israeli onslaught on Gaza”. “As people of Jewish background and heritage, we were compelled to speak out and express our opposition to Israel’s actions,” said Shapiro. This was despite “traditionally, dissent, and what is seen as talking against Israel, has been ostracised within the Jewish community”. Shapiro said JVJP partnered with Archbishop Desmond Tutu and the Cape Town-based Muslim Judicial Council to create dialogue between Jews, Christians and Muslims on Israel-Palestine. “We will form alliances with all those who agree with our position, which is a human rights position. Traditionally, religious bodies have been involved in the human rights movement,” he said. He said they “reject anything done in the name of religion which results in human rights violations and the killing and injuring of civilians”. “The more respectful talking and engagement between different communities that takes place, the better,” said Shapiro. The family of a South African professional masseuse jailed in Japan does not know why she was arrested or when she will be home. 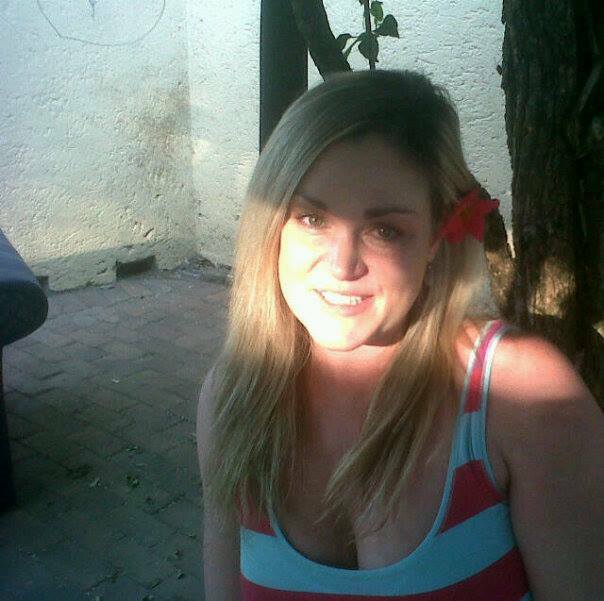 Marilyn Massyn, 36, left her Krugersdorp home in Gauteng on October 22. Her mother Angie Massyn said they were relying on South African officials in Japan for more information. “We heard on Thursday (November 6) that she was found. She has been arrested and is in a jail in Japan. We don’t know why,” said Massyn. “The South African embassy in Japan will let us know what’s happening. They didn’t tell me why she is in jail. All they said is that they were informed. Nelson Kgwete, spokesperson for the department of international relations and cooperation, yesterday confirmed the government was keeping track of the matter. “We are aware of the case and officials from the department are in contact with the family,” he said. He did not offer more information on the reasons for Massyn’s arrest or where she was being detained. Massyn initially traveled from Johannesburg to Abu Dhabi, said her mother. “She told me that she was going away with a friend,” said Angie Massyn. Massyn said she hired a private investigator when her daughter did not contact her after a few days. She also appealed for help on social networking website Facebook, where she posted a photograph of her daughter that was subsequently reposted at least 3,500 times. Massyn said her daughter’s 14-year-old son was also waiting for news about his mother who said she would “go away for a few days”. She was meant to be back home on October 26. Abu Dhabi newspaper, The National, reported that Massyn “transited through Abu Dhabi Airport on October 22, and proceeded onwards to Japan”. The newspaper had published a description of the missing woman, saying she “weighed 86 kilograms and was 5 feet 7 inches, or 170 centimetres tall”. “Marilyn’s most distinguishing feature is a large tattoo covering her lower back,” it reported. It also reported that Mpetjane Kgaogelo Lekgoro, South Africa’s ambassador to the UAE, “was aware of Marilyn’s disappearance”. General retailer Woolworths has sought a court interdict against pro-Palestine protesters who vowed yesterday to continue action against it. Woolworths confirmed via its press office yesterday that it has applied for an interdict because “business has a right to trade unhindered”. Its interdict application is set for hearing at the South Gauteng High Court on November 25. Various groups have recently protested countrywide against Woolworths for selling Israeli goods. Protesters believe this is a sign the retailer supports Israel’s military action against Palestinians. Woolworths said yesterday that it sold only “figs and pretzels from Israel”. “We spent R14-billion on local food last year and we are being taken to task (for selling figs and pretzels),” it said. Woolworths said it sought court action as the “safety of our employees and customers come first”. Paula Disberry, group director for retail operations at Woolworths, said “unlawful protest actions inside our stores have had a profound effect on many of our employees and customers”. In response, protest groups Boycott, Divestment and Sanctions Against Israel in South Africa, and the National Coalition 4 Palestine said they would march on Woolworths this month. The coalition’s Reverend Edwin Arrison said they would “mobilise for about 5,000 people” to march to the Woolworths head office in central Cape Town when the company holds its annual general meeting on November 26. Weekend Argus obtained an internal e-mail from the coalition in which Arrison states they would intend to shame Woolworths by “reading out the names one by one… (of) the names of the children killed during the Gaza war”. “Some comrades who have bought Woolworths shares as well as some other high-profile people selected by us will be entering the meeting while the rest of us will be outside,” said Arrison. Woolworths previously threatened it would take court action against pro-Palestine protesters. “Unfortunately their campaign has extended beyond raising awareness and includes actions such as intimidation of customers and employees, restricting access and preventing customers from shopping,” it said. “Products have also been damaged. The recent statements to ramp up their protest action has given us no choice but to take legal steps. Protest groups in a statement yesterday said court action was a “sign of the desperation of Woolworths and the growing impact of the #BoycottWoolworths campaign”. “Woolworths claims they are concerned about a drop in business for the upcoming festive season… We disagree that the only option that Woolworths has was to go to court. We view this legal bullying and intimidation by a retail giant such as Woolworths of an activist organisation as unnecessary,” it said. One of Archbishop Desmond Tutu’s foundations will evict a township family off a property it owns, leaving them homeless and seeking help from the global icon. 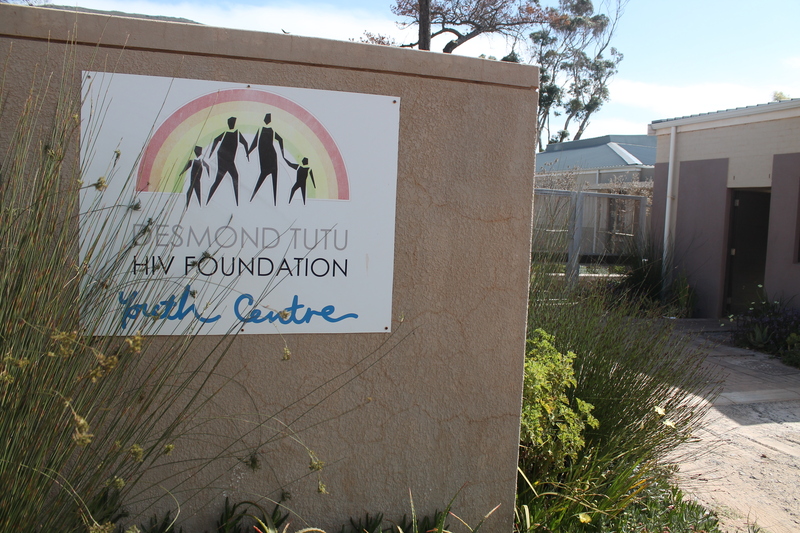 The eviction marks a turning point in the lengthy battle between Zoliswa Maci, her three grown children aged 18 to 22, and the Desmond Tutu HIV Foundation. In 2007, the foundation bought a piece of land Guinea Fowl Road in Masiphumelele township, near Ocean View suburb, about 40km from central Cape Town. It built a youth centre on the land. Maci, her estranged husband Crossby Maci and three children had already been living on the land for ten years. The foundation claims it offered to relocate the family, while Maci claims its offers have not been ideal. Talks between the parties led nowhere and the foundation in August obtained an eviction order from the Simon’s Town magistrate’s court. Linda-Gail Bekker, the foundation’s chief operating officer, said they have been paying the family’s water and electricity accounts since it bought the land. The foundation needed to extend its buildings and the family needed to move, added Bekker. She said they have on “numerous occasions tried to reach a reasonable compromise including a cash pay out”. “We had warned Mrs Maci that we had no choice but to move on with a plan to ask the courts to intervene,” she said. 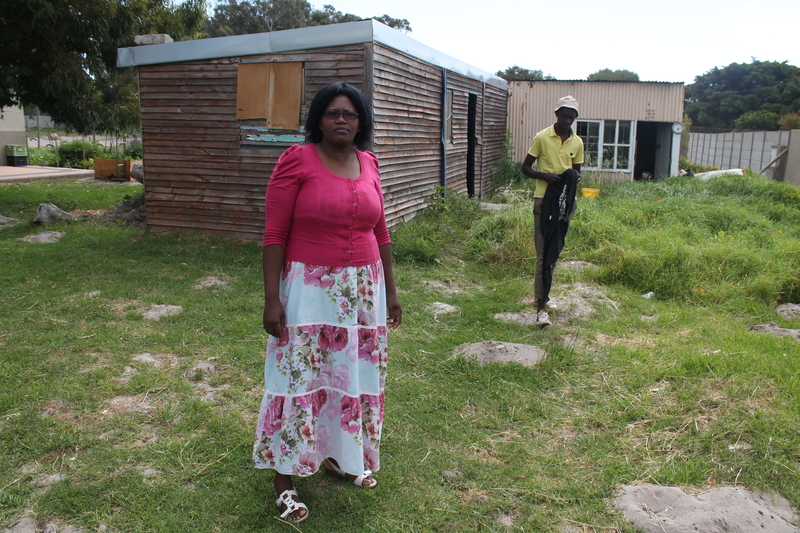 Bekker said when the foundation bought the land the Maci family had lived in a “rather ramshackle shack”. Maci’s husband signed a written agreement with the previous landowner, Brian Curtis, who employed him as a labourer and watchman on the property. It was used as a building yard site at the time. “As part of his remuneration as watchman Crossby and his immediate family are entitled to live in premises at the yard,” states the agreement. The Maci family has had to vacate the land as the property has been sold. Maci is now stranded and her only income is as a domestic worker two days a week. She said her husband “left me in 2010 because we had financial problems”. Two of her children “are living with friends”. Maci said she wanted to meet Tutu. “I have never met Desmond Tutu. I would ask him for a place to stay. I don’t want to be on the street,” she said. “I have lived here for 17 years. I have friends here and I pray at the church every night for help. The court said I must move at the end of December. I feel very bad,” said Maci. Maci said the foundation “tried to rent a place for me”. “But I’m scared of the rent. What if they stop paying the rent? I’m not working,” she said. Bekker said they have “offered alternative living arrangements” but “spare plots in Masiphumelele were very hard or impossible to get”. When producers of the film Italy In a Day called on the public to submit content for their communal project, they received 44,197 videos. Hours after viewing and editing this footage, along with 2,200 hours of images they received, they made a film that offers “honest reflection, without intellectual filters, on the meaning of our communal trip on planet Earth”. “It is a diary of the emotions and the thoughts of the Italians, some tender, others angry, funny or desperate,” informs the film’s synopsis. With its “desires, dreams, fears, thoughts, or simply what could be seen by looking out of the window”, Italy In a Day is among six films shown at the Italian Film Focus festival. The latter runs in different cities nationally, with the Labia cinema on Orange Street playing local host for ten days until November 23. Festival director Antonio Falduto, a former Cape Town resident who has returned to his homeland Italy, selected films that have already traveled globally. Falduto believes Italian cinema in recent years went through uncertain times due to the “intrusiveness of Italian commercial television, which has not been of great benefit to cinema or itself”. But, he says, that has changed somewhat, marked most notably by this year’s Academy Award that Italian director Paolo Sorrentino received for his melancholic film, The Great Beauty. “New Italian cinema is claiming back its identity, roots and ambitions. Italian films are presented at the most important festivals,” says Falduto. “This year we present a variety of films (at the local festival) that have shown a great sense of story, language and intellectual curiosity. Apart from showing films, Italian film companies are also involved in co-productions locally, says Falduto. Italian filmmakers recently showed films at the Durban International Film Festival and have support from the National Film and Video Foundation, as well as the Kwa-Zulu Natal Film Commission. Falduto played a role in the signing of a co-production agreement between South Africa and Italy in 2006. Since then, five feature films and two documentaries have been made. At this year’s festival, he says, Italian film industry professionals will attend to “find and build stories in collaboration with local professionals”. The festival’s opening night films are Darker Than Midnight, with its director in attendance, and Seven Little Killers, with its producer and screenwriter in attendance. Darker Than Midnight tells the story of 14-year-old Davide whose “delicate and effeminate looks do not fit in with his father’s ideas of what a boy should be like”. “Fleeing the constant conflicts at home, he is drawn to Catania’s biggest public park, Villa Bellini, a world apart that the rest of the city pretends not to see and whose regulars live on the margins of society,” reads the synopsis. Its director Sebastiano Riso will be at the screening to interact with the audience at the Labia on Sunday (NOVEMBER 16) at 6:15pm. On Monday (NOVEMBER 17) at 6:15pm, the producer and screenwriter of Seven Little Killers will interact with the audience after their screening. Seven Little Killers starts in the 1980s, “in a small village in the south of Italy when a group of kids enjoy their youth until on a windy afternoon something terrible happens”. The festival’s Quiet Bliss meanwhile interrogates the “playing out of the economic crisis afflicting our global village, in a small town in Salento, at the tip of the heel of Italy”. “It tells the story of four women from one family who face a crisis as their small textile factory, on the fringe of western Europe, heads for bankruptcy. Obliged to sell their house and their factory… they will have to get used to a complete lack of comfort and money,” reads the synopsis. For more information about the other films and the festival look at the website www.italianfilmfocus.co.za or visit the Labia cinema on Orange Street. Head of Cape Town’s Anglican church, Archbishop Thabo Makgoba, prayed for gunshot victim and activist Andile Lili at Tygerberg Hospital yesterday. Makgoba visited Lili, known for leading protests for improved township sanitation, and his family. Lili’s brother Mpucuko Nguzo said only he, his wife, an aunt and uncle, and two others were in the room at the time of the prayer. “The reverend made it very clear that Andile will be very well after the prayer. It was his (Makgoba’s) intention to see him and pray for him,” said Nguzo. Nguzo said his family had asked the hospital to ensure tight security and not allow too many visitors in Lili’s hospital room. Lili, a prominent activist and former ANC councilor, sustained two bullet shots late on Wednesday. “We are worried about his safety. We can’t allow too many people to see him at the hospital. There is heavy security (at the hospital),” said Nguzo. The Ses’khona NGO that Lili leads has blamed the attack on the local branch of the ANC, which the party has denied. Ses’khona had planned to march to the ANC’s offices in the city on Thursday and demand the party sack its provincial secretary Songezo Mjongile. Nguzo said leaders and members from the ANC, other political parties and NGOs had all come to the hospital over the last few days to visit his injured brother. He said Lili was in a “stable condition”. Yesterday he said the hospital’s security said “from now on it will be only the family that can visit him in the room”. Mcebisi Skwatsha, deputy minister for rural development and land reform, said yesterday afternoon he was on his way to see Lili. “I’ve just landed from Johannesburg. I am going there with Pam Thswete (deputy minister of water and sanitation),” he said. Skwatsha dismissed allegations that the ANC was behind the attack. “The ANC can in no way shoot anybody in this country. The leadership of the ANC condemned this attack on Andile,” said Skwatsha. Western Cape police confirmed it was investigating the shooting. No arrests have yet been made. At the start of public hearings about a possible regulated national minimum worker’s wage yesterday, the Democratic Alliance dismissed the process as an ANC “political game”. 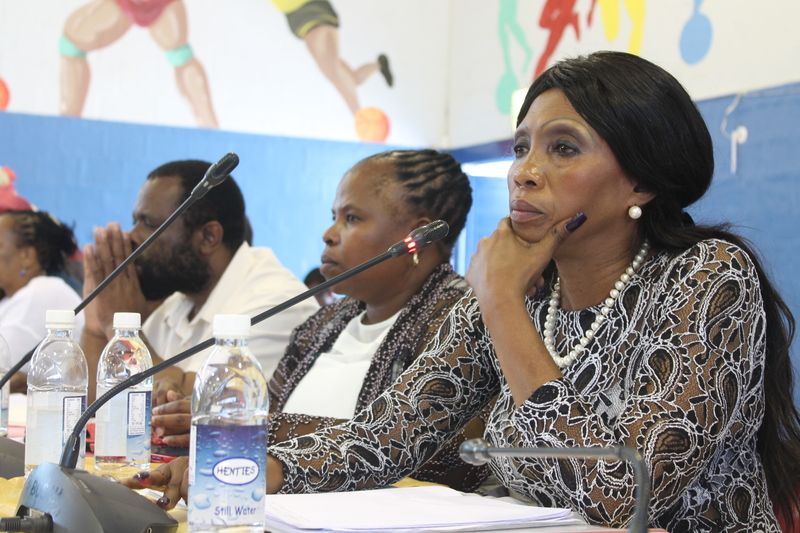 The countrywide hearings, organised by Parliament’s portfolio committee on labour, kicked off at the Gugulethu Sports Complex yesterday. A second day of hearings at the Paarl East Thusong Centre is planned for today. Lumka Yengeni, the committee’s chairwoman, said the hearings would take place in all nine provinces and likely conclude by June next year. Ian Ollis, the DA’s committee member, said the process would cost R7,2-million while Yengeni said the budget had not yet been confirmed. Ollis said the ANC was merely using the public hearings to “show they care about workers”. “The ANC is using this as an electioneering campaign, especially in the Western Cape. We don’t have a draft policy or regulations yet on minimum wage,” said Ollis. Ollis said a minimum wage could have disastrous consequences for small businesses which “could collapse” as they would not be able to afford paying proposed salaries. Yengeni said Ollis and the DA “would rubbish anything the ANC is saying”. “It’s not only ANC members who are getting slave wages. The crowd that the DA rents when they go for marches, that crowd sleeps without food. They earn slave wages,” said Yengeni. She accused the DA of “surviving on distortions”. Domestic workers, security guards and unemployed locals told the committee about how they were exploited. They called for a monthly minimum wage of R5000. Domestic worker Bukelwa Mnweba said she earned only R560 a month. Nontando Mhlabeni said foreign nationals were willing to work for R800 a month, making it difficult for locals to negotiate better wages. “How can you take a job for R800 a month? You have families and you need to eat. Foreigners take these jobs because they come here with only a bag on their backs,” said Mhlabeni. She also blamed unions for encouraging workers to stay in jobs even if they get low salaries. “They tell workers if they talk to the employer about increasing the salary you could lose your job. They sell our people to protect their jobs,” said Mhlabeni.